Published on September 27, 2018 in NH Restaurant. Closed Tags: breakfast, Lakes Region, sunday brunch. Looking for a delicious Sunday Brunch in the Lakes Region of New Hampshire? Let me introduce you to Steele Hill Resorts onsite dining, The Hilltop Restaurant. The restaurant, which is open to the public, hosts a delicious and extensive Brunch every Sunday from 8:30am to 1pm. 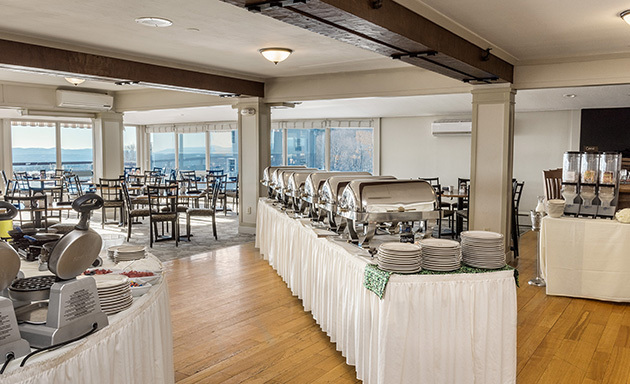 Enjoy sitting in our dining room overlooking beautiful views of Lake Winnipesaukee, Lake Winnisquam, and the Belknap Mountain range. Open year-round, the fall is a great time of the year to join us at the Hilltop. As the leaves begin to change their colors and the foliage begins to peak, our restaurant offers one of the best vantage points in New Hampshire for leaf peeping. 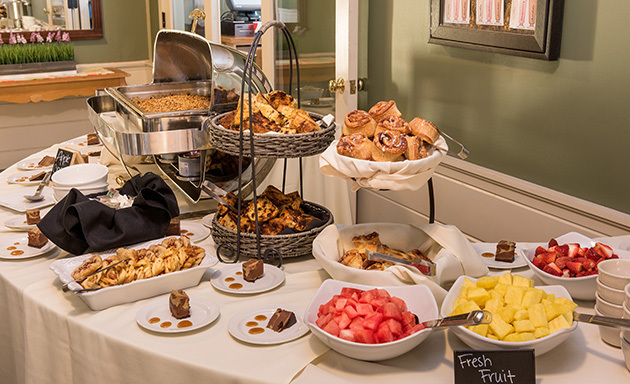 Brunch items consist of assorted fruit and pastries, bagels and smoked salmon, cold and hot cereal, bacon and sausage, home fries, eggs, pancakes and French toast, along with an assorted dessert display. Chef specialties include a build your own omelet station, waffle station, corned beef hash and steak with poached eggs, and kitchen staff is crafting new specials every weekend. We offer a variety of holiday buffets throughout the year, including our annual Thanksgiving Day Buffet. Leave the stress and mess of cooking behind and bring the family up to The Hilltop Restaurant for a holiday meal they won’t forget. To stay updated on more information, follow our event page here. 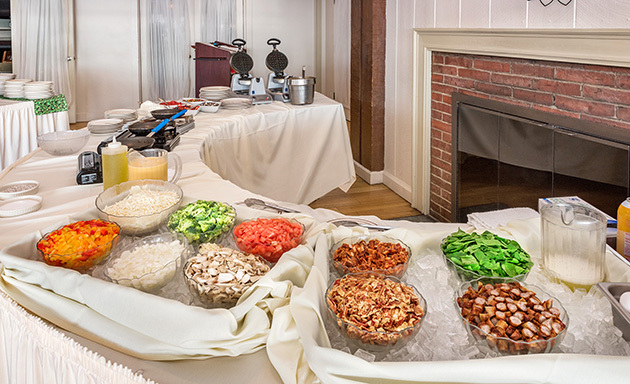 Make a reservation today by calling 603-524-0500 Ext.0 and reserve your table for the Best Sunday Brunch in the Lakes Region at The Hilltop Restaurant located at Steele Hill Resorts in Sanbornton, NH.